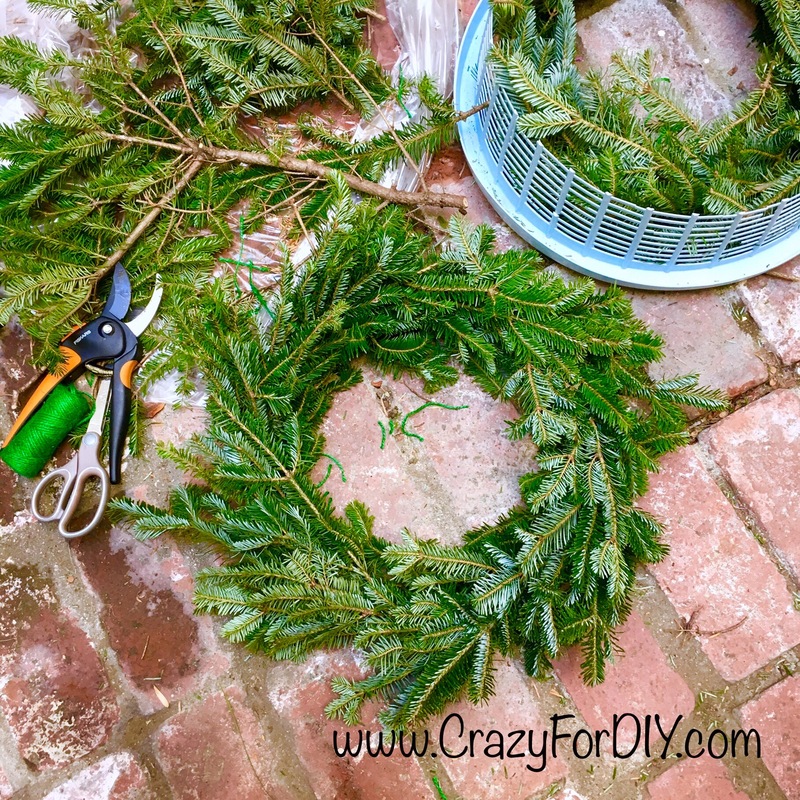 DIY Wreath: Dollar Store Hack – Crazy for D.I.Y. October 10, 2017 January 31, 2019 • Crazy for D.I.Y. 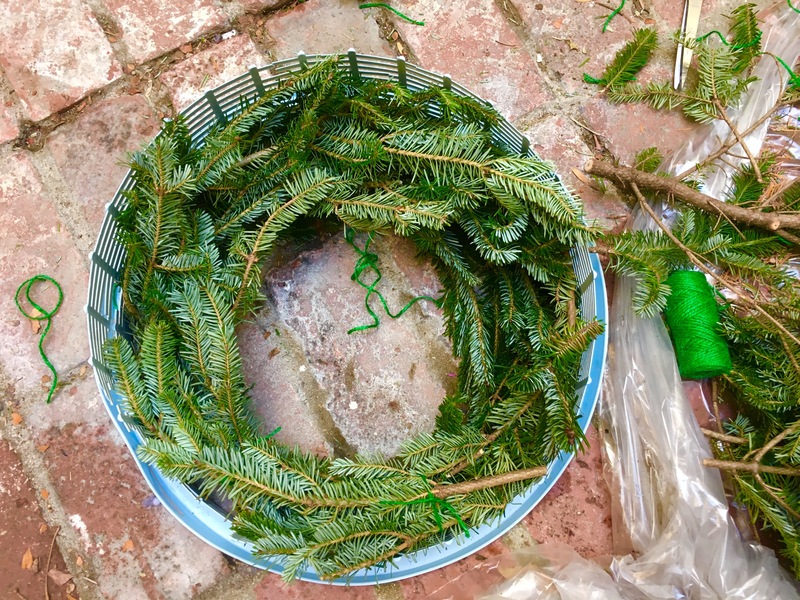 I cut the laundry basket in half and used the larger piece to create this wreath. Laying each large branch first to create a sturdy circle. The lighter branches were placed on top where I was happy with the even-ness. Then I cut (20) 3” pieces of jute twine to tie the branches together. Making sure the green twine wasn’t showing. Alas! The hardest and most time-consuming part was done. However, upon lifting it up (even after a day of drying) it turned into an oval. I used a straightened wire hanger (wire hangers are my ultimate craft hack!) to thread through the twine ties. 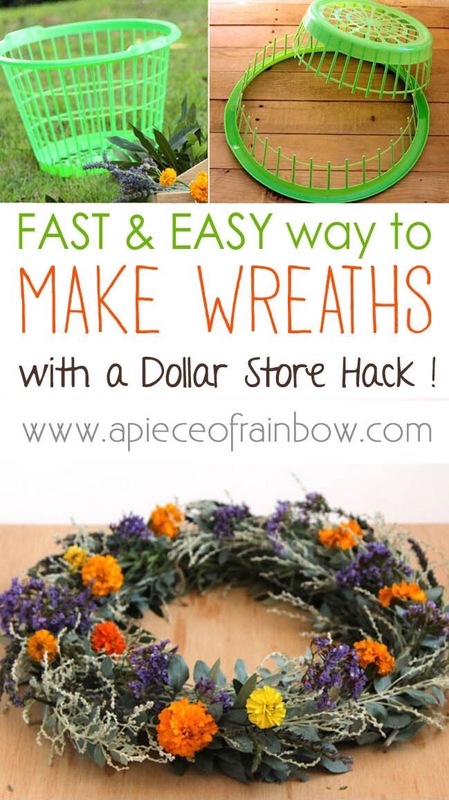 This made the wreath super sturdy. I also bent a small circle hook at the end of the wire for hanging the wreath on the door. Here’s where I used the rest of the branches on the mantel with my chalkboard platter. 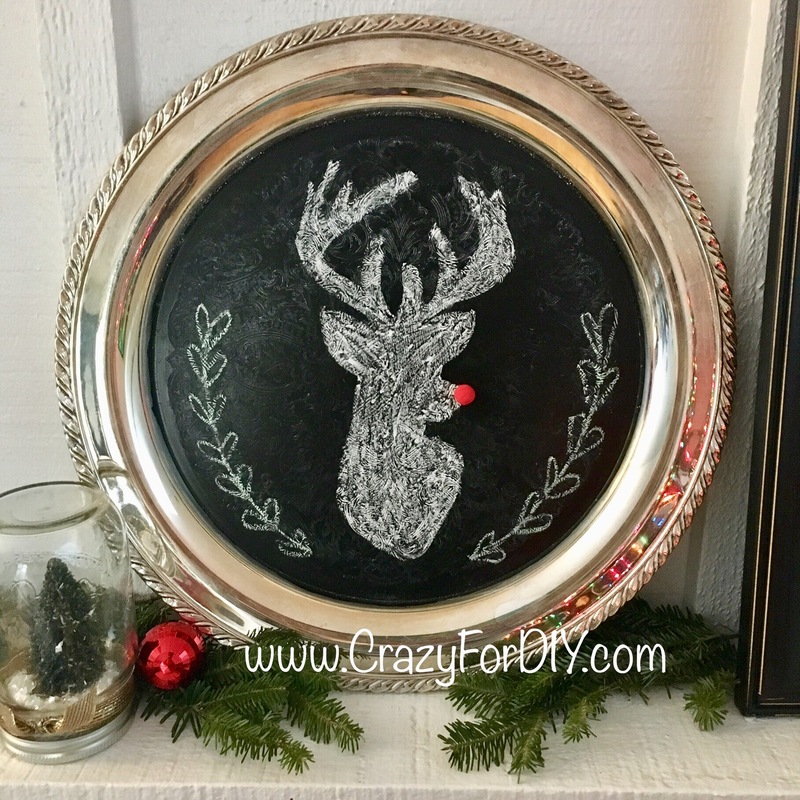 Posted in Christmas, Crafts, Pinterest projectTagged chalkboard, Christmas, decor, diy, easy, mantel, pinterest, wreathBookmark the permalink.